In the heavens they found hell. I really liked Prometheus, but had a lot of issues. I really did not like the opening of the film, I felt showing the Engineers right from the start was not a great choice, it is an awesome looking shot, but I felt it killed all of the suspense of what why the crew is travelling to the planet, and what they are looking for. They should've been revealed at the same time that the crew first sees them. Also showing Shaw and Halloway finding the map in the caves I felt was also unnecessary, because they talk about it again during their mission briefing, it took too long to get the film going, and introduce the crew of the Prometheus. I also thought a handful of the deleted scenes (not all of them) from the Blu-ray were actually great scenes of character development and more tense, and some of them explain some of the character motivations later on in the movie. My goal in doing this was to try and make a version of Prometheus that was more cohesive, and had more surprises than the original theatrical version. 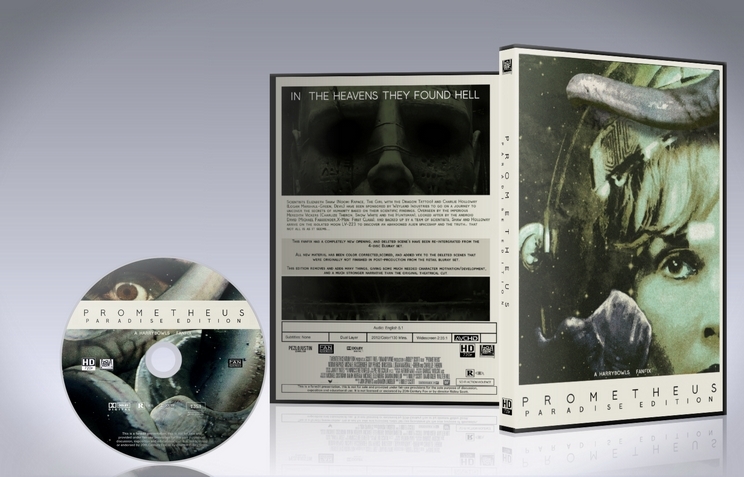 Marc Streitenfeld & Harry Gregson-Williams - Prometheus (Expanded) (2012) CD set for elements for transitions. - Nuke/Photoshop/Graphics Tablet to remove cables for the deleted scenes that weren't fixed in Post originally. - Sony Vegas for editing, and Davinci Resolve for Color Grading. - Any Deleted/Alternate scenes used, were color matched, to match the Theatrical version of the film. 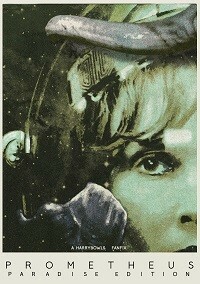 - New opening credits during David alone on the Prometheus. - Fixed scene with Milburn popping up twice waiting in line in the kitchen to get something to drink. - Cut Fifield howling when he let's his pups out. - After Shaw is drugged, scene cuts to Vickers and Janek conversation (from Deleted Scenes) Then cuts back to Shaw trying to get that thing out of her. - Moved scene of the Deacon to post-credit scene, it seemed out of place even in the original film.